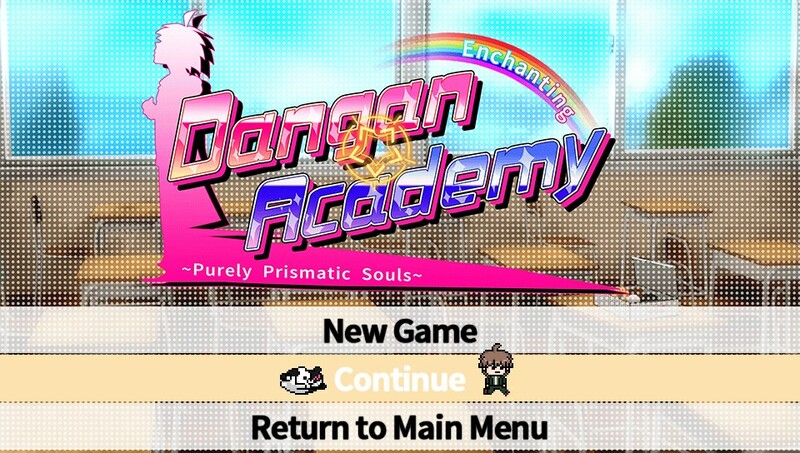 As I mentioned in my preview: thanks to the folks at NIS America giving us a pre-release copy of DanganRonpa, I was able to give the game a thorough runthrough. 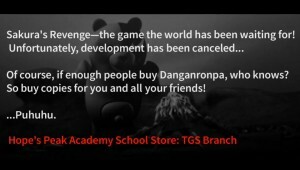 DanganRonpa was originally a title released on the PSP, but only in Japan. There’s also a sequel named Super DanganRonpa 2 released under the same circumstances and late last year, Spike Chunsoft released a Vita remake that compiled both games into one, calling it Danganronpa 1・2 Reload. As discussed in my interview with Editor Phoenix Spaulding, NIS America is only localizing just the first game of this compilation. 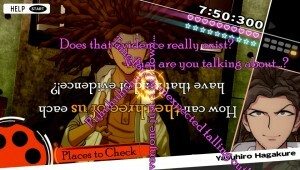 DanganRonpa, much like Spike Chunsoft’s Zero Escape series, is very text-heavy. It’s partly visual novel, mixed with elements of other genres. It’s best described as a Phoenix Wright game with the darkness and plot of 999. There’s also a few other elements thrown in here and there, but I’ll get to that in a bit. 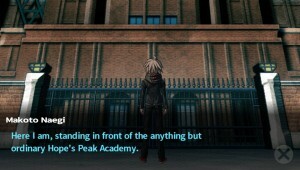 You control Makoto Naegi, a completely average prospective high school student, selected to go to a school filled with the best of the best under the pretense of being the “Ultimate Lucky Student.” Hope’s Peak Academy invites high school students that are perceived as the absolute best in their field to attend. Makoto ends up being invited by shear luck and, as such, is a bit intimidated by his classmates. After putting in some research beforehand to see the type of people he’ll be going to school with, he shows up to the school, only to immediately pass out and find himself and 14 others trapped within the school. 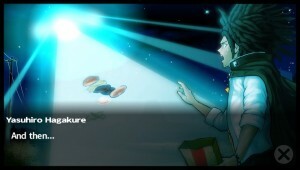 Shortly after, Monokuma introduces himself. Monokuma is this evil bear… thing, that tries to be adorable while encouraging you and the other students to kill each other. The contrast between his intentions and speech patterns is almost as great as that between the right and left halves of his fur. As much as I hate him, I found him to be a pretty well-written villian and also the occasional source of comedy relief. 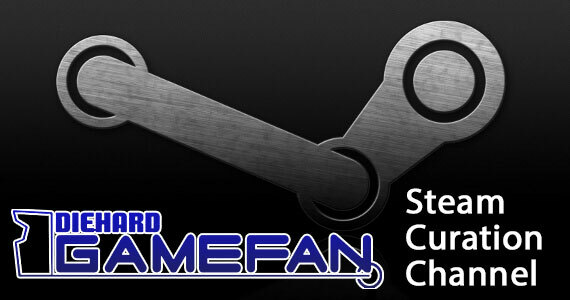 The game is split into different modes and phases. At the beginning of each chapter, you’re in the daily life segment of the game. 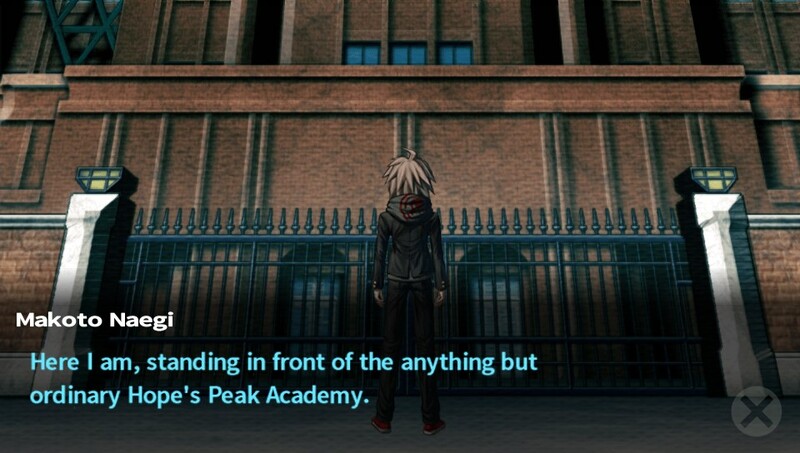 This is the time in which you explore any newly opened areas of the school via first-person view in a 3D environment, and continue with plot progression through dialogue in proper visual novel style. All of the areas outside of the rooms are seen in a traditional first-person dungeon-crawling fashion, with a fully explorable 3D environment. 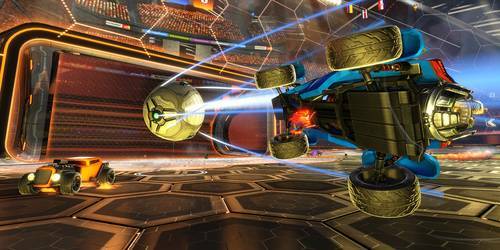 However, once you enter a room, the game shifts to a fixed-camera environment, with a couple different angles you can shift to. These portions of the game feel a lot like exploring the rooms in 999 and Virtue’s Last Reward, but there are no puzzles to be solved here. Despite these two drastically different perspectives, the visual novel-like dialogue and plot progression can and does take place in either environment. It’s also, thankfully, not necessary to completely traverse the entire school on foot to get to each room. The game provides you a way to warp to set points throughout the school by means of selecting the points on a map and this helps cut down on wasted time. After the students are done exploring, they gather to convey their findings to the whole group. From this point on, the game starts alternating between plot progression and “free time.” Free time plays a lot like a dating simulator. You first navigate to wherever the character you want to hang out with is, and then select to spend time with them. The other characters aren’t always located in a room and are sometimes loitering around the hallways. Once you opt to spend time with them, you’re given the choice of whether or not you want to give them a present. 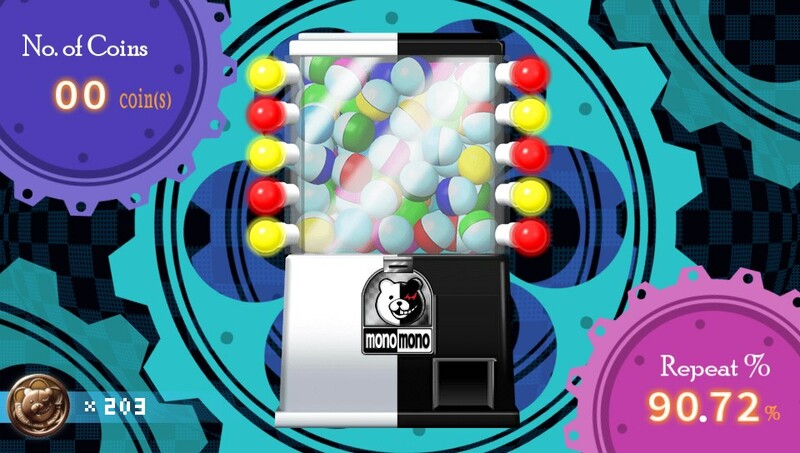 Presents are obtained by putting coins into the MonoMono machine located in the school store; the more coins you put in, the greater your chances of getting an item you don’t already have. I personally found it a waste to put in multiple coins, because each play on the machine has a chance of getting you a bonus item free. Since you can also get more bonus items after getting a bonus item, meaning multiple free items off one coin, there was no downside to putting 100 coins in one-at-a-time outside of the amount of time it takes. You also likely want multiple copies of each present, so that you can keep giving them to a person who likes that item. You’d think there’s only so many edible flotation donuts one could stand, but apparently this is not the case! If you give a character something they like, they’ll tell you more about themselves and that may unlock increased SP or skills for use in the class trial mode of the game. I’ll get to that little later. 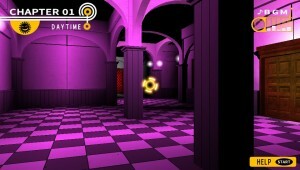 The next section of the game is deadly life segment, which starts with the investigation phase. 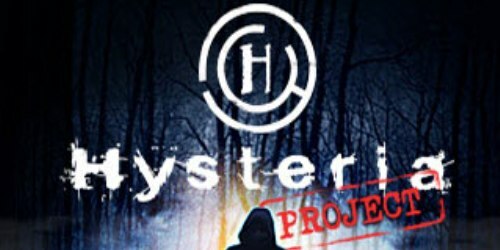 After a body is discovered, which you may want to get used to, the game transitions into the investigation phase and you’re expected to gather the clues you need to solve the murder. 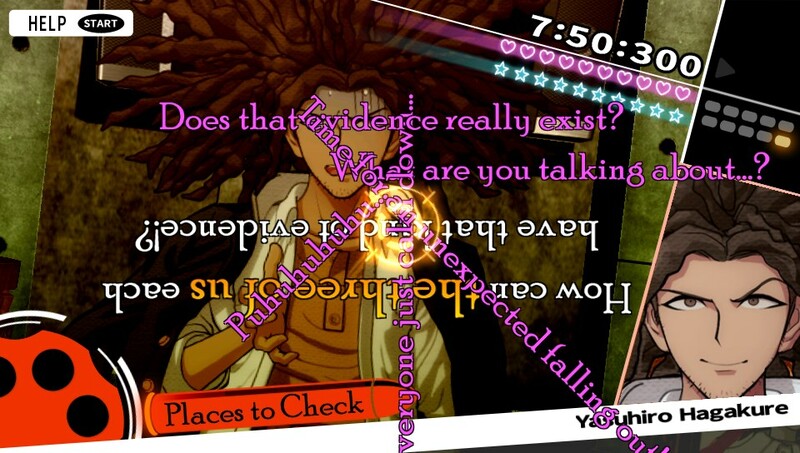 These clues are critical for success in the following class trial phase of the game, but DanganRonpa is merciful enough to not let you proceed to the class trial without obtaining all the information you need to solve the case. This phase plays a lot like Phoenix Wright‘s investigative portions. You’re expected to look around every relevant room, talk to all of the other characters, and start trying to piece together what you think might have happened. Once this is complete, you’ll move into the final phase for the chapter: the class trial. The class trial is the final portion of each chapter. This is the time you use your evidence to dig up the truth of the matter, similar to Phoenix Wright. However, the method of doing so is very different. First of all, you have the Nonstop Debate which consists of statements made by each character floating across the screen, that you are required to find a contradiction in. When you find it, you shoot a “Truth Bullet” — a statement that contradicts what the character said — at the offending comment to break it and progress the trial. At first this starts out relatively simple, but later chapters introduce “noise”, which are purple statements that block your shot. You have to first clear these with a “silencer” shot before you can shoot a truth bullet at the proper line. Potential contradicting statements are highlighted with orange text. While not all orange text is contradictory, that indicated where you should be looking in each character’s statement. Orange text can also be recorded as a truth bullet to fire at another segment of orange text it contradicts. It can be difficult to figure out the contradiction, silence the noise, and aim a shot all in one go. For this reason, the statements loop after a while and Makoto gives a small hint in the form of a thought to himself; however, you do have a time limit, so you can’t fail at this too long. If you’re having trouble aiming, you can also hold the R button to “concentrate” and freeze time for a short period. This becomes immensely helpful in the later chapters when there’s more noise. When you pick the wrong statement to contradict, or pick the wrong truth bullet to use on a statement, you lose influence. Your influence normally starts at 5 hearts and each mistake generally costs you 1 of them; however, there are ways to recover via certain skills and each correct response will also recover some. 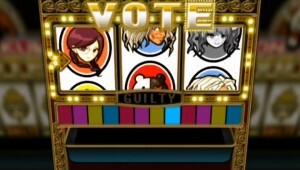 This influence meter carries over during all of the segments of the class trial, so you have to be careful. If it’s reduced to zero, or if you run out of time during any of the minigames, the game ends. 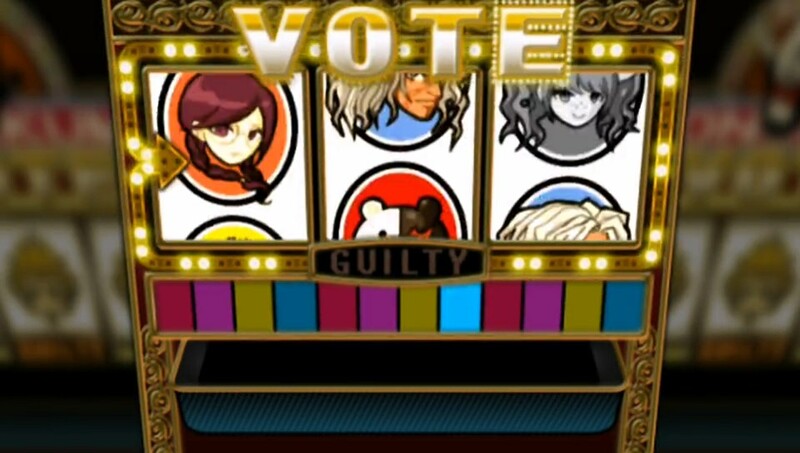 The next segment of the class trial is the Hangman’s Gambit. This is a mixture of a shooting game and hangman. You have to shoot the correct letters in order to spell a word Makoto is trying to think of to progress the trial. The key thing to note is that the letters have to be picked in order, which can make it more difficult to figure out longer words early on. There’s also a rhythm minigame segment called Bullet Time Battles. These are segments where one student sternly refuses to listen to you, so you are required to “shoot down” their statements. Basically, you lock onto a statement via the triangle button, fire at it using the X button, and use the square button to reload. The catch is that you have to do these things in time with the beat of the music. The closer you are to winning, the faster the beat gets. However, the opposing student may use a skill called nega time that removes the indicators for the beat of the music, similar to playing DDR with hidden arrows. However, Makoto can use an ability called fever time that allows him to lock on, shoot, and reload out of time with the music (i.e. mash them as fast as possible). I found the best usage of this to be to negate the effect of nega time. Finally, there’s the Closing Argument. When you’ve basically solved the entire case, you have to piece together the logic in a comic strip format, from right to left (Japanese style). There are missing panels from the strip, so you have to fill them in based on the surrounding panels and the very subtle hints given. I actually found this to be a bit difficult at times, because the bubbles with the missing panel pieces sometimes look extremely similar to each other. It can be difficult to distinguish exactly which piece should be used, because there’s no text description. Once the case is settled, Monokuma tells you whether you were right or wrong. If you were right, only the murderer is “punished”. 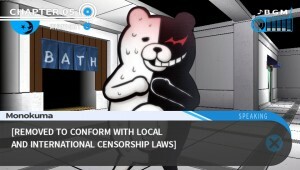 Without giving too much away, the punishments doled out by Monokuma are fitting for each character, but very, very twisted. If you like dark stories and death, you’ll definitely appreciate this game. The art style used for the cutscenes and the overall game in general is great at contrasting the terrible things that happen. Blood is usually shown as bright pink, and most of the cutscenes have a bright, childish feel to the art. The contrast between what you understand is happening and how it is portrayed elicits a jarring, uneasy feeling… perfect for the intent of this game. Most of the dialog, as in the Japanese version, isn’t fully voiced; only the class trial portions are. The rest of the text in the game reuses the same sound bites to portray different emotions. DanganRonpa has dual audio and you can change it between Japanese and English before starting a chapter. The original Japanese voices are absolutely fantastic, but I found that I only really like a handful of the English voices. They’re not bad, but I prefer the characterizations in the Japanese version better. Despite that, I will say that I really liked the choices for Hifumi and Chihiro in English. They struck me as a perfect match. There were a number of others I felt were a pretty good fit, but those really stood out to me. 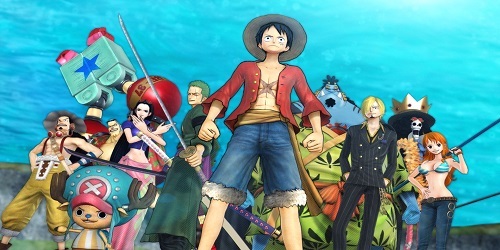 Overall though, the localization is great. I feel the script was handled with a lot of thought and care, despite the complaints over a specific name change. For those who have watched the anime or played the fan translation of the PSP version and know what I’m talking about, see this note (WARNING: SPOILERS). For those who have never played the game before, this is a fantastic way to first experience it. The visuals in the Vita version of the game are much sharper than the PSP predecessor; everything looks very crisp and brilliant. Additionally, the Vita version adds the new school mode that is unlocked after beating the game once. The school mode gives you 50 days in which you are expected to collect materials around the school to build “spares” for Monokuma that meet his demands, while keeping the school tidy. Setting characters to collect or clean enough times will result in them leveling that skill up. The higher the skill, the more they collect or the faster they clean. In between collecting materials and cleaning the school, you have free time that you can spend with any of the characters. This allows you to fill the report card and gain skills from characters that you were unable to during the main game, whether it be because of lack of time or because they kicked the bucket. Additionally, you get a tiny bit more info from each character by using “trip tickets” to spend time with them at various places around the school. This in turn raises their affection level which can be tracked by talking to Monokuma. 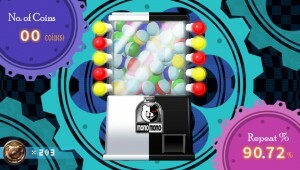 Trip tickets are procured by successfully completely Monokuma’s tasks and are limited in number. I haven’t managed to do it yet, but I’m pretty certain you can max everyone’s affection levels within the 50 days alloted to you. However, I should note that these affection levels are different than the ones that gain you skills from each character. 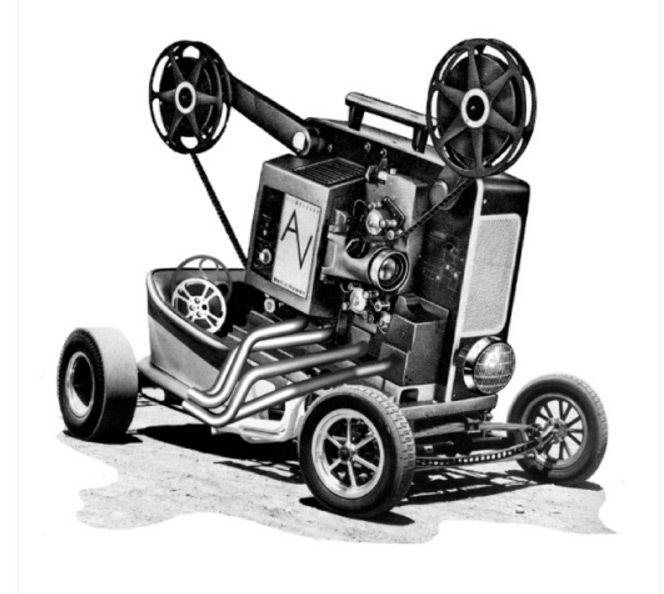 In addition to these game modes, there’s also the event, movie, artwork, and sound galleries. These are all pretty nice and convenient to have, but you’ll need to spend Monocoins earned by playing the main game to get them. Thankfully, the chapter select allows you to skip right to the class trails, so farming coins isn’t actually all that hard. I neglected to mention this before, but you’re graded on how well you do each section of the class trial. The higher your grade, the more coins you get for completing that section. In my experience, the highest grade appears to be an “A” rank. That said, an A rank is pretty easy to obtain and once you know the correct options, you can simply breeze through the class trials to farm coins. By the way, the soundtrack for the game is amazing, so I’m actually really grateful to have the sound gallery. 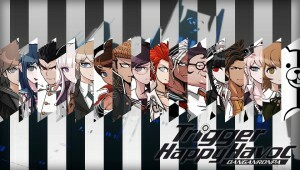 Overall, I really enjoyed DanganRonpa. This is hands down one of the best Vita games I’ve played so far, to the point that I think I actually like it more than both Virtue’s Last Reward and Persona 4: Golden. If you’re still teetering on whether or not to buy a Vita, this game is a really, really good reason to do so. I found myself enthralled for hours on end — I literally sacrificed sleep several days, simply because I wanted to know what would happen next. 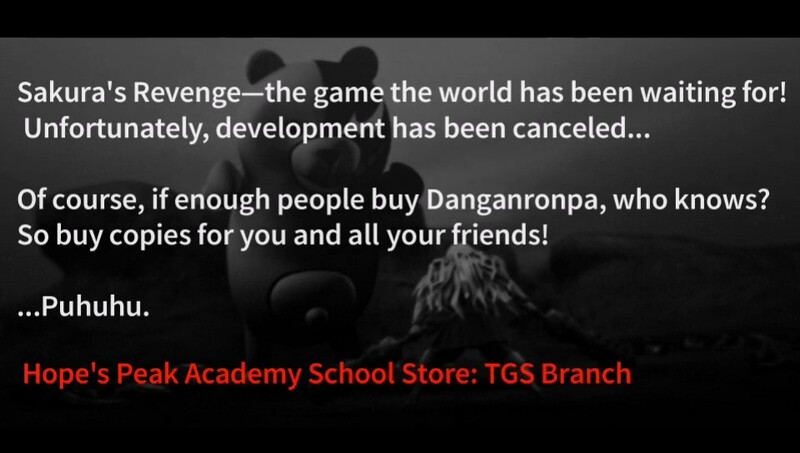 The story is fantastic and I absolutely want more of it, so I’m really hoping that we get the Vita version Super DanganRonpa 2 localized in the not-so-distant future. There’s a lot more to this universe! It would be a damn shame to stop here. 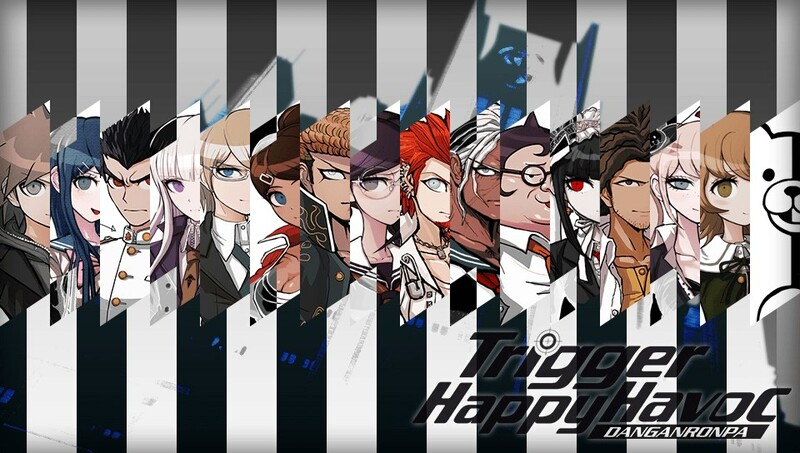 DanganRonpa is a very stylistic murder-mystery/action-adventure game that plays a bit like Phoenix Wright, 999, and a dating simulator combined. There’s something for everybody, but the plot is extremely compelling by itself. There’s a lot of reading involved, so if you don’t like text-heavy games, this might not be for you; however, if you like the Phoenix Wright series and don’t mind a dark story, I can almost guarantee you’ll love this game. The length of the game isn’t too bad: it’s about 25 hours long, assuming you aren’t trying to 100% the galleries. In about 27.5 hours I was able to complete the game, complete the report card for all the characters, and get a couple runs of school mode in. Finally, the game looks much better than the PSP version and contains extra content, so even if you’ve played it before, it’s worth playing again. Excellent review! I’ve played the fan translated version on the game a while ago and enjoyed every bit of time I’ve spend with danganronpa. I just wish more people would get into this and buy this game so it’s not that far fetched for the sequel to be localized as well!